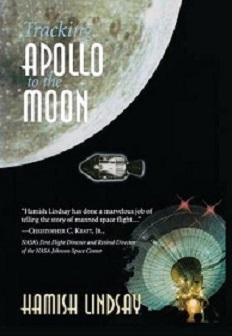 This is perhaps the most complete, detailed and readable story of manned space-flight ever published. Beginning with the historical origins of the dream of walking on the Moon, Tracking Apollo to the Moon is the complete story of manned spaceflight, from the earliest Mercury and Gemini flights through to the end of the Apollo era. In readable, fascinating detail, Hamish Lindsay – who was directly involved in all three programs – chronicles mankind’s greatest adventure with a great narrative, interviews, quotes and masses of photographs, including some previously unpublished. As well as bringing the history of these missions to life Tracking Apollo to the Moon serves as a detailed reference for space enthusiasts and students. Having seen the manuscript, the Smithsonian requested two copies of the finished book, and Buzz Aldrin asked for five!